Added 1800 in AbbVie. I sold all of my BAX to fund this. I feel that AbbVie works better for my goals. ABBV yields around 3.4%. ABBV is a spinoff of the old timer company ABT. ABT is a dividend aristocrat. 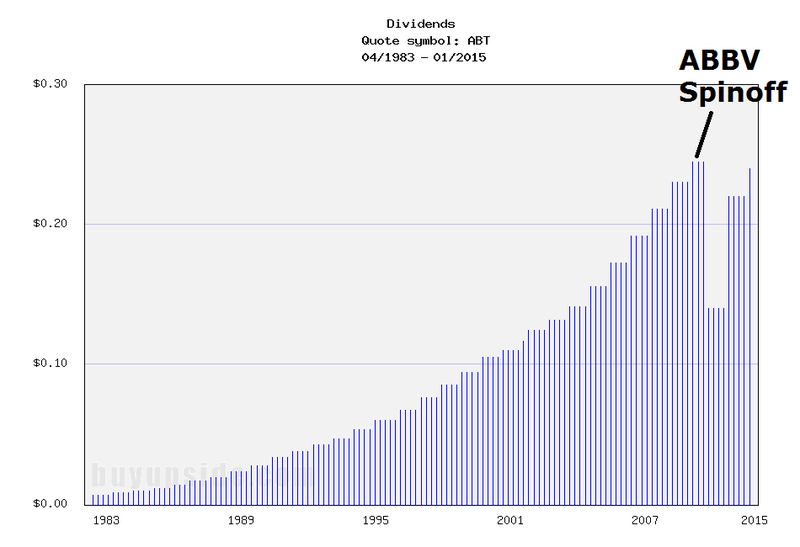 The following graph shows the historical dividend growth. This is truly the classic slow and steady dividend growth stock that one should drip into when it hits fair value. ABBV has so far increased its dividend at a decent rate since the spinoff. Great buy, I too is a fan of ABBV. I dont like that they over paid on Pharmacyclics but the line of meds and their pipelines fits very well with ABBV. Thanks for sharing your recent buy!